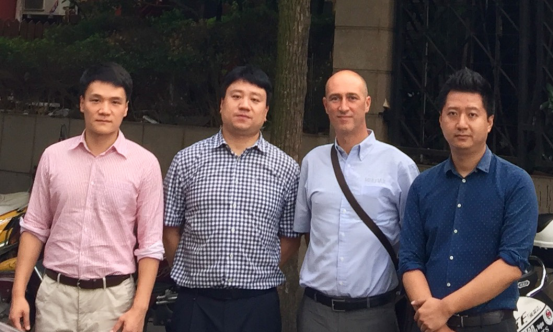 On September,5th, sales director and founder of Multiax, David, visited Galleon Corporation. After the negotiation, Galleon is Confirmed as the exclusive agent for the aviation market of Multiax greater China. Italian Multiax was founded in 1995, which is an innovative high-tech modern enterprise, integrating scientific research, development, production and marketing. It focus on designing, manufacturing, and selling large five-axis NC machining of good quality and cost-effective, which is mainly used to non-metallic, composite materials, aluminum and other materials products and mould processing. The first Shanghai Aviation Show held by Galleon was celebrated as one of three major Aviation Shows in China, with the Zhuhai Aviation Show and the Beijing Aviation Show. In 2009, the first Commercial Aircraft Manufacturing Summit Forum held by Galleon caused great repercussions in the industry. As a result, the business extends to offering exhibition services, organizing aviation manufacturing summit and providing training for all types of enterprises. A powerful consultant team, including industry administration officials, scholars, industry experts, aiming at providing comprehensive and high-quality instant news and market trends. From 2012, Galleon made major strategic and business adjustments, and began to focus on providing professional industry information, strategic advice, media advertising and exhibition services for the aviation area. Through forums, Galleon has integrated a large number of industry customer resources and has entered into the substantial industry in the fields of engine, avionics and aviation materials. Since Galleon established agency business in 2012, the coverage of agency business has been gradually expanded. The cooperation with Multiax indicates that Galleon has made a new breakthrough in the field of aircraft industry tooling manufacturing, which marks an important milestone in the Aviation agency business of Galleon. As a leading enterprise in domestic aviation manufacturing industry, Galleon aims to provide the customers with more optimized solutions.